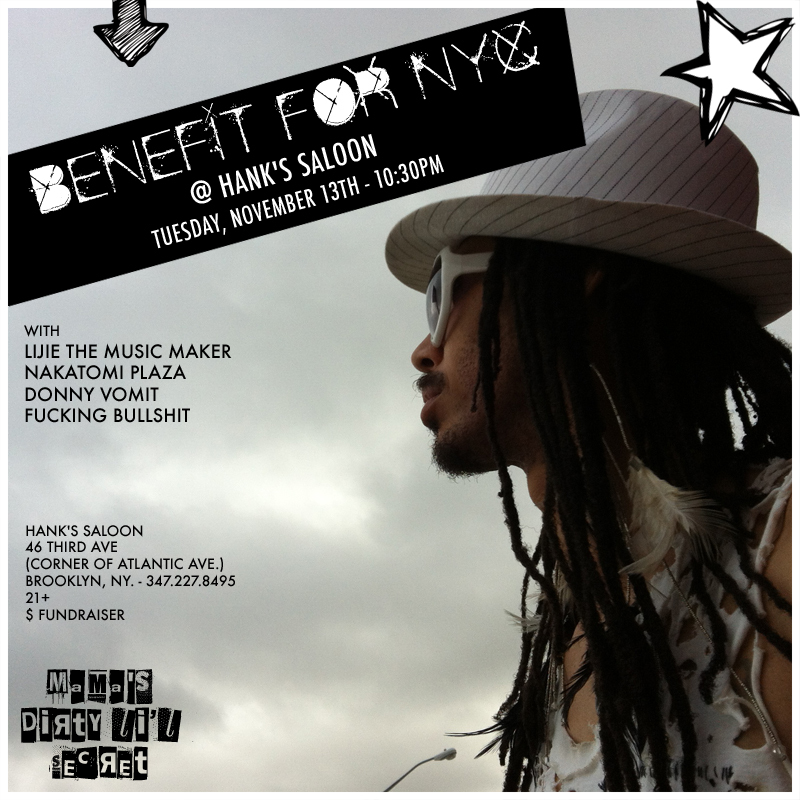 Benefit for NYC - Tuesday, November 13, 2012 - Mama's Dirty Li'l Secret® - "If Prince were punk" : Mama's Dirty Li'l Secret® – "If Prince were punk"
As we continue to sort through and repair the damages wrought by Hurricane Sandy, please join us for a free night of music at Hank’s Saloon. Cash donations will be accepted and will go towards relief efforts through Occupy Sandy, the Red Cross and the Coney Island Association. We will also be accepting donations of the following items: space heaters, hand warmers, mops, buckets, cleaning supplies, respirators, first aid kits, hand sanitizer, batteries (C/D cell), flashlights, rubber gloves, etc.